1991 (August) The Local Government Center is formally created as a two-Divisional unit (i.e., Continuing Education and Cooperative Extension). Joining in making the announcement about the opening of the new Local Government Center were, left to right, Rick Stadelman, Wisconsin Towns Association; Dan Thompson, League of Wisconsin Municipalities; UW-Extension Chancellor Patrick G. Boyle; UWEX Cooperative Extension Dean Ayse Somersan; and Mark Rogacki, Wisconsin Counties Association. (January) The Local Government Center begins operating under the leadership of Co-Directors Ed Schten (Continuing Education Extension) and Ken Nelson (Cooperative Extension) along with Associate Director, Dave Hinds. Associate Director Dave Hinds develops a new logo for the Center. 1993 Co-Director Ed Schten retires and Continuing Education Extension withdraws its funding for the Local Government Center. Dave Hinds becomes Director of the Local Government Center, and Cooperative Extension (under the leadership of then Dean Ayse Somersan) assumes full financial support for the Center. 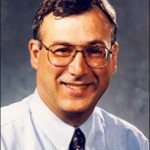 1994 (September) Jim Schneider joins the Center as a Growth Management Coordinator. 1996 (September) Kate Lawton joins the Center as a Local Government Specialist. 1999 (January) Carol White joins the Center as a Program Assistant. (January) Specialist Chuck Law replaces Dave Hinds as Center Director. 2001 Larry Larmer joins the Center as an Outreach Specialist after retiring from UW-Extension’s Division of Continuing Studies. 2002 (May) Tenley Meyer joins the Center as a Program Assistant. (July) Director Dave Hinds retires after providing nine years of leadership to the Center. (December) Chancellor Kevin Riley recognizes 10 years of the Center’s programming serving the educational needs of local governments in Wisconsin. Click on graphic to read article. 2003 (May) Dan Hill joins the Center as a Local Government Specialist. 2005 Center Director Chuck Law accepts the responsibility of co-Directing UW-Extension’s Center for Community and Economic Development with Specialist Gary Green from the Department of Rural Sociology. 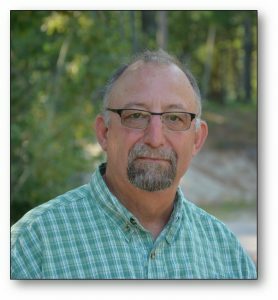 (July) Al Probst joins the Local Government Center as a Local Government Specialist. (July) Anne Kimber joins the Local Government Center as a Program Assistant. 2007 (April) Al Probst initiates the performance measurement project. (November) Kate Lawton successfully removes the prefix “associate” from her formal Lecturer title. 2008 Wisconsin Elections Division staff designate selected sessions of the Center’s “Conducting Local Elections” WisLine programs as an option for re-certification training for chief elections inspectors. (May) The Center’s County Officials Workshops held in seven locations across the state attract more than 200 county officials from 49 Wisconsin counties. This was the most highly attended county officials workshop in many years. (July) Center Director Chuck Law steps down as Co-Director of UW-Extension’s Center for Community and Economic Development. 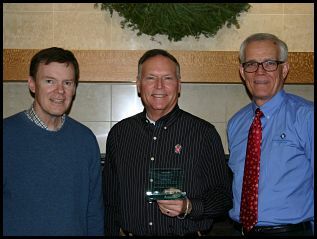 (July) Jim Schneider retires from the Center after almost 14 years of employment with UW-Extension. 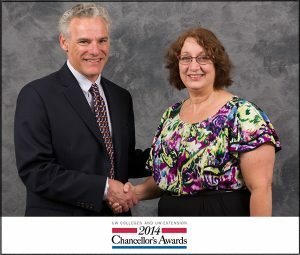 (August) Al Probst promoted to senior lecturer. (November) Philip Freeburg joins the Center as the Local Government Law Educator. (October) The Center receives the “Friend in County Government” award from the Wisconsin Counties Association.Left to right: WCA Executive Director Mark O’Connell, LGC specialist Alan Probst, LGC co-founder Ken Nelson, CNRED Program Director Tom Blewett, LGC co-founder Ed Schten, LGC specialist Kate Lawton, LGC Director Chuck Law, WCA President Dennis O’Loughlin, Cooperative Extension Dean Rick Klemme, LGC specialist Dan Hill. 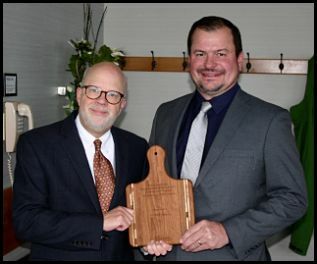 (October) The Center-supported Wisconsin Barn Preservation Program receives a “Scenic Beauty” award from Citizens for Scenic Wisconsin. 2009 (January) Jim Schneider re-joins the Center as an Outreach Specialist after retiring. (April) Office Operations Associate, Anne Kimber, accepts a position with UW-Madison’s Materials Distribution Services (HDS). 2010 (July) Polly Shoemaker joins the Local Government Center as an Office Operations Associate. 2011 (July) Dan Hill accepts an interim appointment as Secretary of the Faculty and Academic Staff and Assistant Vice Chancellor. (November) Philip Freeburg is appointed to the Academic Staff Hearings Committee. 2012 The Local Government Center celebrates its twentieth year. (July) Kate Lawton retires from the Center after nearly 16 years of employment with UW-Extension. (September) The Local Government Center receives the UW System’s Chancellor’s Award for Excellence. 2013 (January) Alan Probst leaves the Local Government Center for a civilian position with the Marine Corps. Semper Fi, Al! (January) Eileen Langdon joins the Local Government Center as Support Staff. 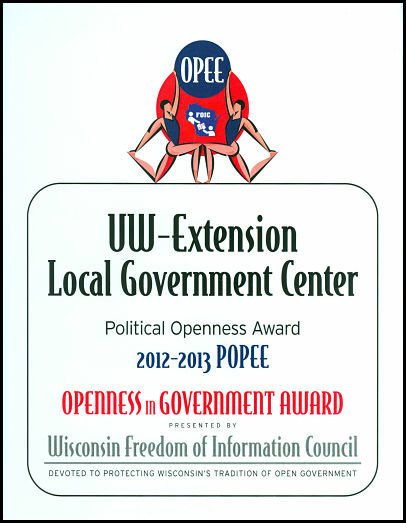 (March) The Local Government Center receives the Political Openness Award (the “Popee” from the Wisconsin Freedom of Information Council during their annual “Opee” Award recognition. (July) Bill Rizzo joins The Local Government Center as an Outreach Specialist. Bill comes from the Dane County Extension office where he was a CNRED Educator starting in 1993. (May) Philip Freeburg receives the Excellence In Community, Natural Resources & Economic Development Program from Dean Karl Martin for his work on the Board of Review training video. (April) Dan Hill returns full-time to the Local Government Center after serving in the office of the Secretary of the Faculty and Staff, and Assistant Vice Chancellor. (November) Bill Rizzo retires from the Local Government Center after almost 20 years at UW Cooperative Extension. 2017 (January) On January 6, the Local Government Center marked its 25th anniversary of being officially open for business. 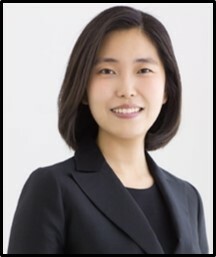 (January) Yunji Kim joins the Local Government Center as a Local Government Specialist. 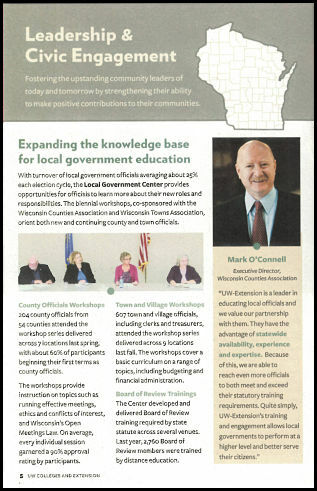 (April) Local Government Center workshops featured in UW Colleges and Extension Impact Report 2016. Click on graphic to read article. 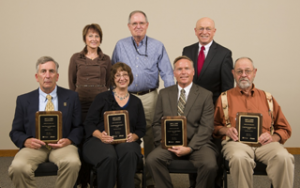 (April) Chuck Law receives the Distinguished Service Award from the Wisconsin Extension Environmental and Community Development Association for enduring contributions to UW-Extension’s mission as it relates to community development. 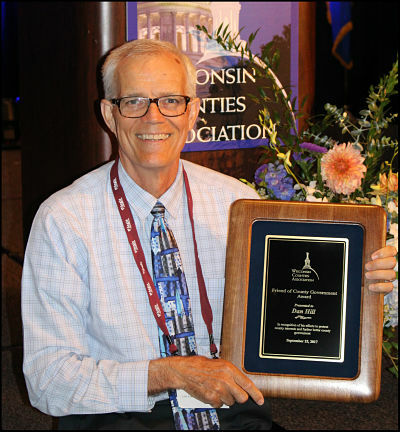 (September) Dan Hill receives the Friend of County Government Award from the Wisconsin Counties Association. 2018 (November) Daniel Foth joins the Local Government Center as Local Government Center Specialist.